Ruth Ellis Center is a youth social services agency with a mission to provide short-term and long-term residential safe space and support services for runaway, homeless, and at-risk lesbian, gay, bi-attractional, transgender and questioning (LGBTQ) youth. 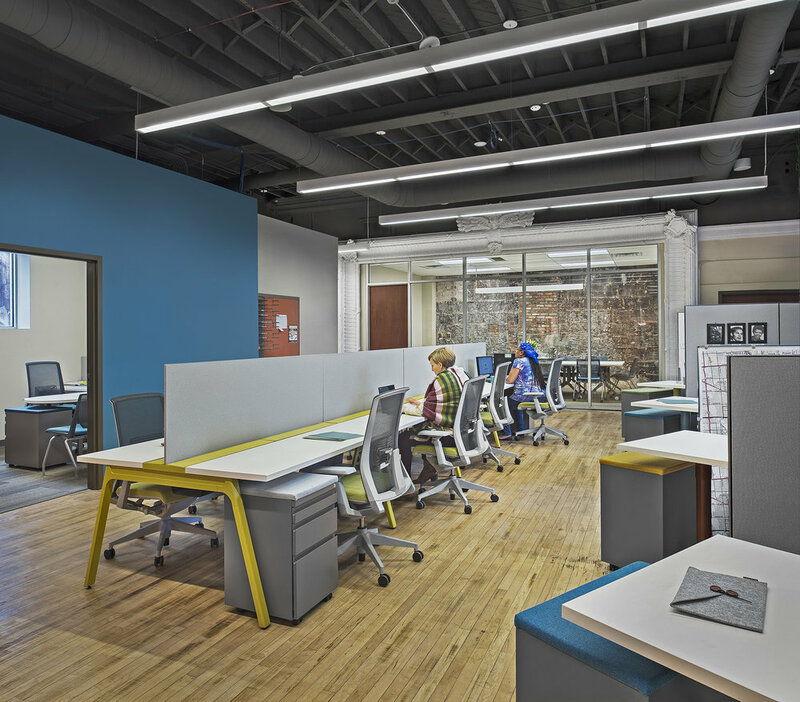 The organization was looking for a partner to help renovate its existing space in Highland Park, Michigan into a friendly and welcoming environment for employees and youth. Together, it was our goal to modernize the space while still keeping and highlighting many of the building's original industrial features. We mixed colorful and new with rough and old to create a space that's warm and welcoming.